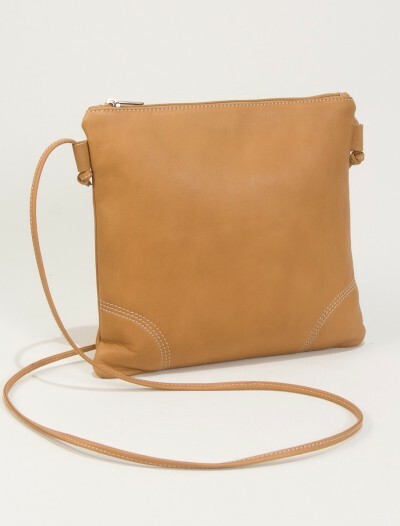 Crossbody leather bags are great basics for your wardrobe! 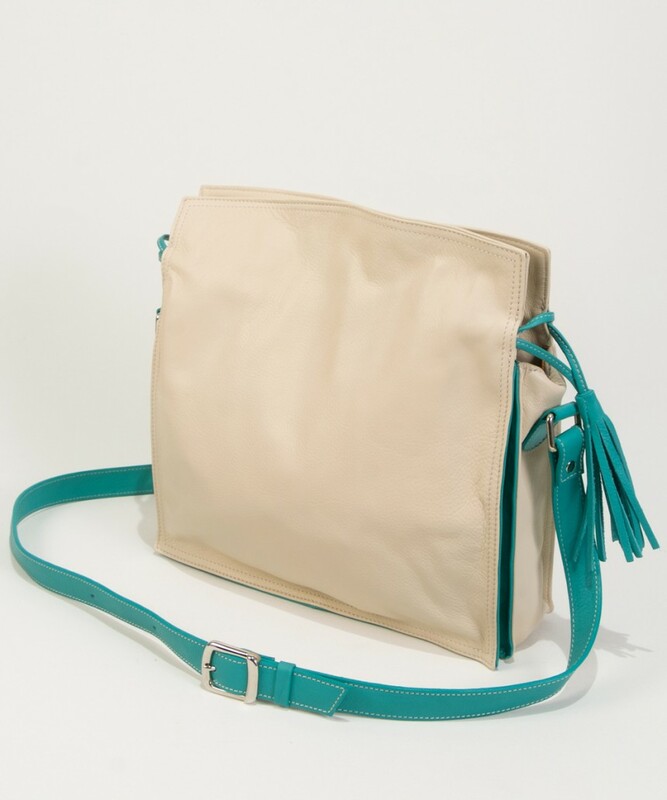 This leather crossbody Clara in white and turquoise details is easy to combine thanks to the neutral white, but the turquoise adds a beautiful splash of color. 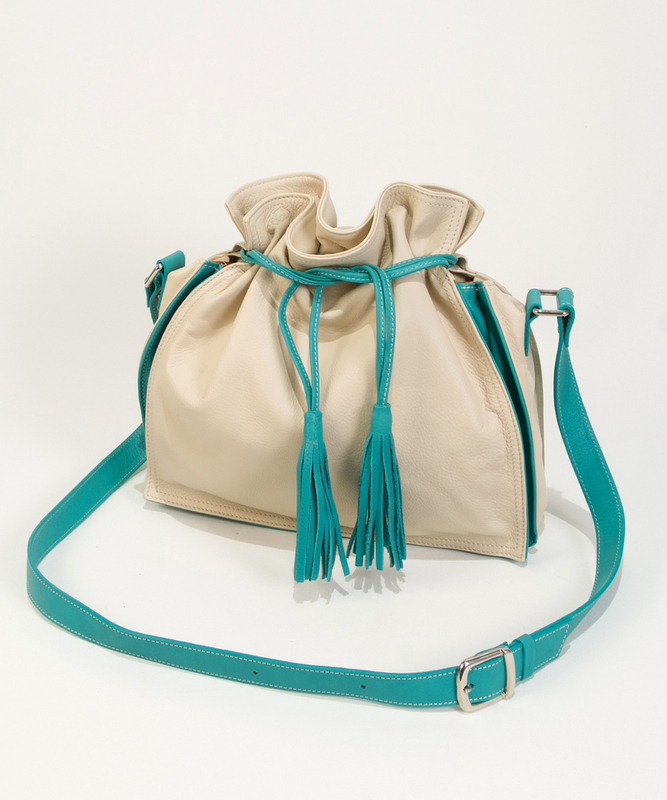 The bag has a contrasting shoulder strap in turquoise, as well as the drawstring in leather and a contrasting side seam in the same turquoise color. 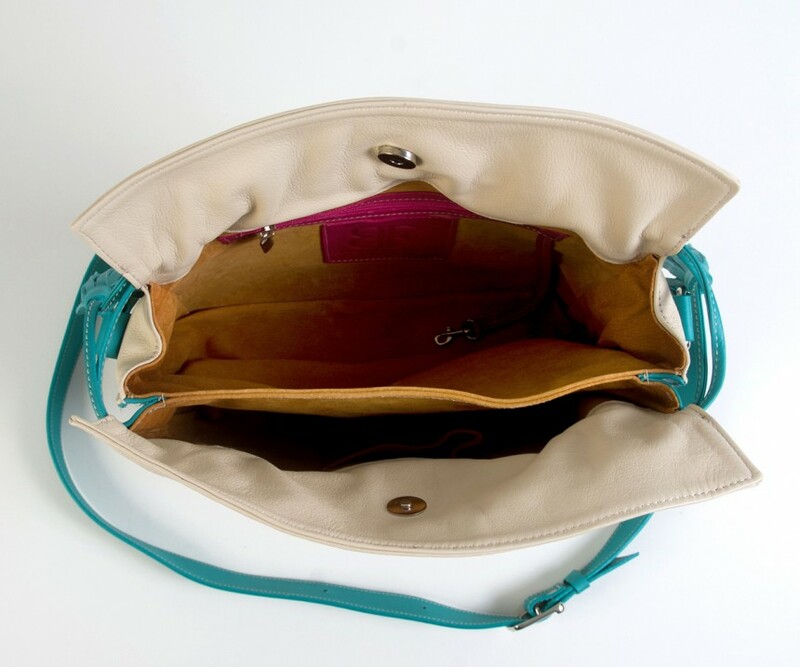 This crossbody handbag has two inside compartments. 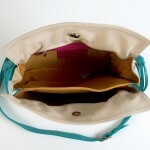 It contains a zipper pocket on the inside and a small pocket to hold a phone. 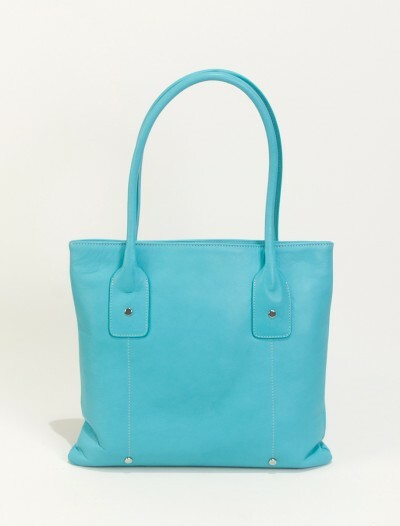 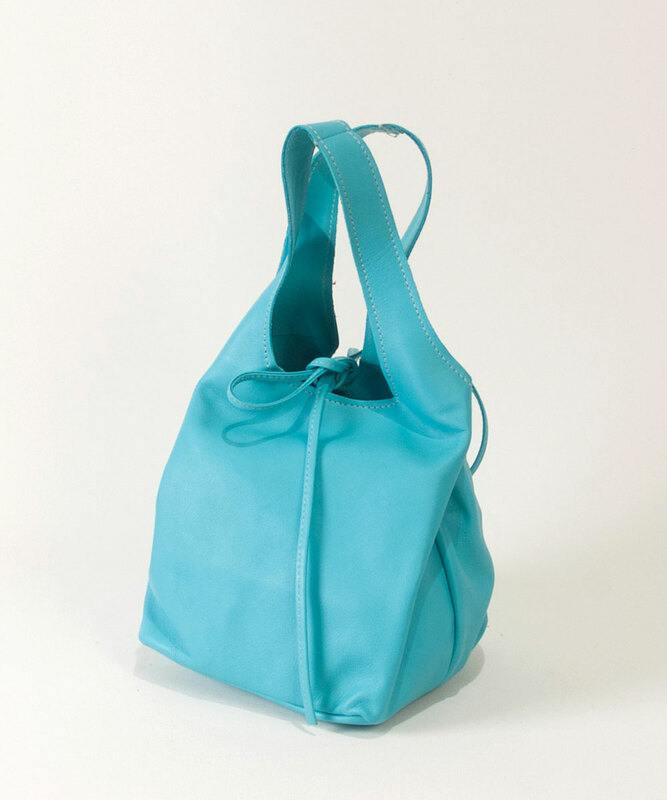 This bag has a drawstring in turquoise leather to close the bag on top, apart from a magnetic clasp. 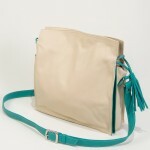 The lenght of the leather shoulder strap is adaptable. 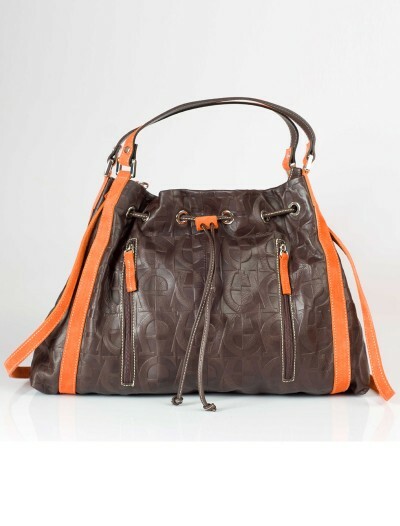 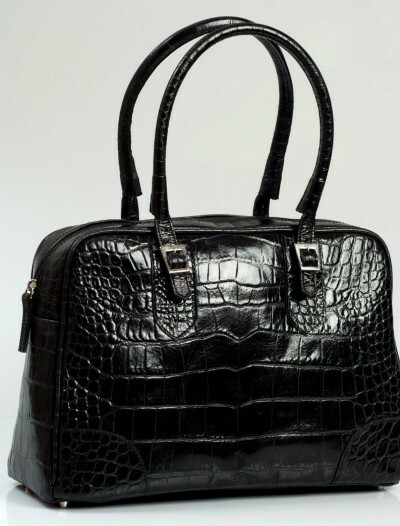 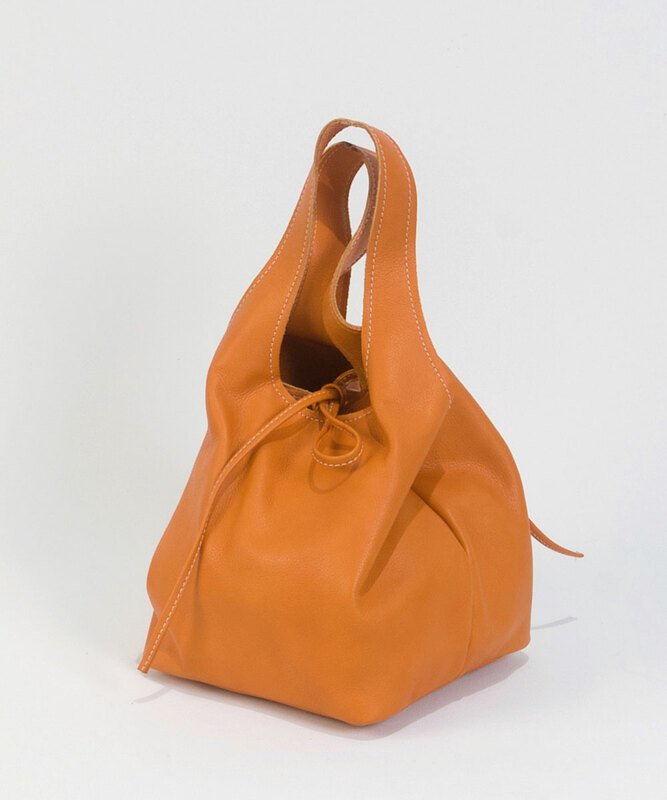 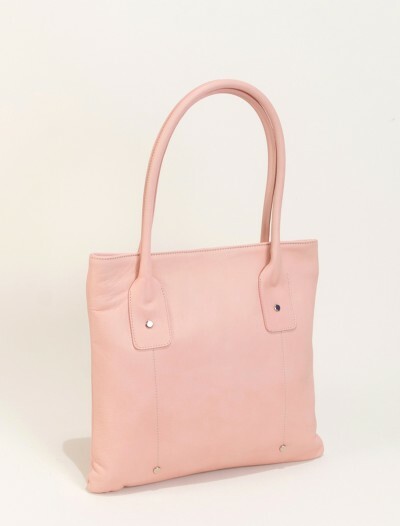 This leather handbag is completely made in leather, on the inside as well as the outside. 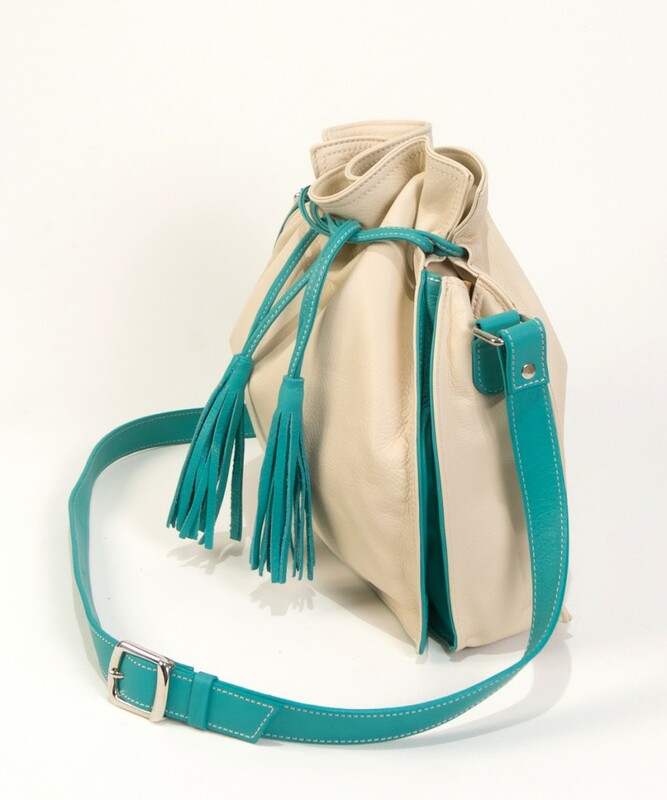 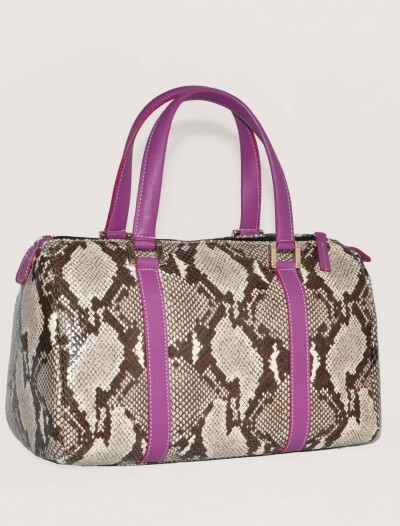 SKU: CLARAwhite Categories: Cool Handbags, New Arrivals. 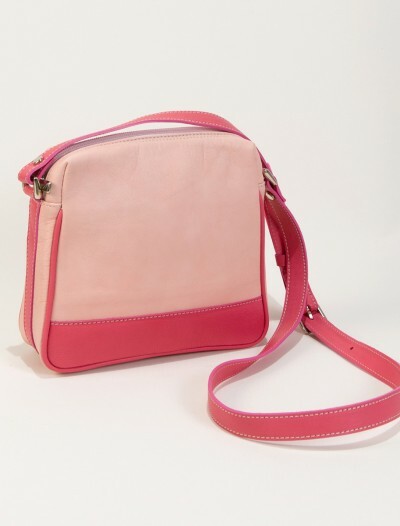 Brand: Bag Fashionista Tags: crossbody bags for women, designer crossbody bags. 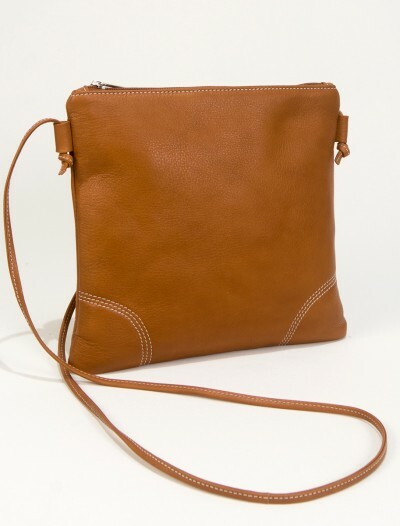 Crossbody leather bags are really practical thanks to the single shoulder strap over your shoulder. 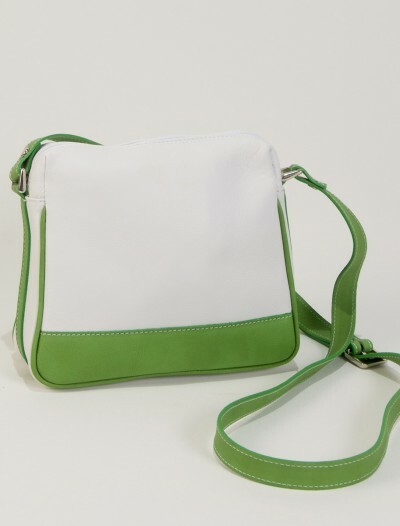 That makes it that you have your hands free. 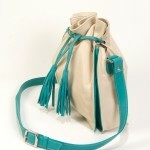 It is as practical as a backpack, but with more style. 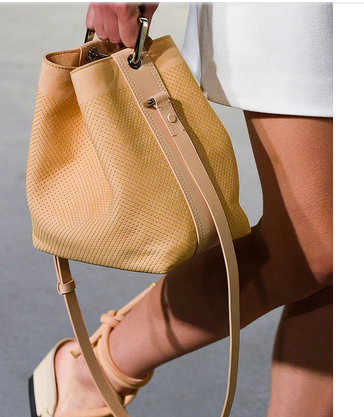 Crossbody leather bags have been seen on the runways for the summer 2015 collections. 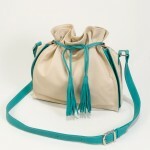 They pop up nearly every season because of they are so easy to wear under a lot of circumstances.